There is no doubt about it, a dog is a man’s best friend. So, whether you have a pit bull or a poodle, you know that their generous and loving qualities make them one the best companions any Katy man, woman or child can have. If you are a dog owner already then chances are that you will know the type of dog that you want. However, if this is your first time getting a dog or if it has been a while since your last, then you might need some assistance selecting the perfect furry friend for your home. This is where we come in. Having worked closely with prospective dog owners across Katy, we, at Fireplug Bed & Bath can safely say that we have the skill, experience and knowhow necessary to ensure that we pair you with a dog that will enhance your life. For us, pairing puppies and dogs with loving homes across Katy is our number one priority. That is why we go to such great lengths to ensure our service is as thorough as possible. At Fireplug Bed & Bath we take immense pride in what we do. That is why we ensure that if you choose a dog from us you will be guaranteed that he or she will fit perfectly into your life. Sure, house and obedience training will be required as your pet gets older, but the truth is that by selecting a dog that matches your personality, living arrangements and family situation, we are helping you with the first step in responsible dog ownership. Have you recently had a visit from a friend’s dog and felt like you would like a canine companion of your own? If this is the case then please consider the following important points before making this decision. Firstly, think about your work-life balance. If you live alone in a third-floor apartment and work 16 hours per day then maybe a pet puppy or dog isn’t the right choice for you. You may love your dog but if you are never there to care for it then it is negligent to get one. Second, if you work long hours but not so long that you couldn’t get a dog then make sure to invest in a trusted dog walker that will make sure your furry friend gets all the cardiovascular attention it needs. Finally, select a breed of dog that is suitable to the climate in Katy. This is particularly important if you plan on keeping your dog outdoors. 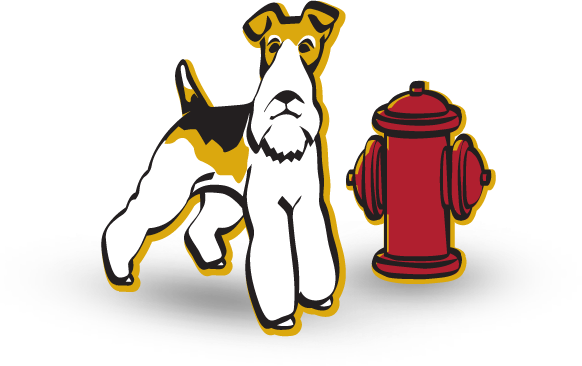 If you are looking for the perfect puppy for your home then look no further than Fireplug Bed & Bath. With years of experience, we know exactly what it takes to breed and care for a dog correctly. Don’t settle for second best when the number one option is right here on your Katy doorstep. We promise, you won’t regret it.